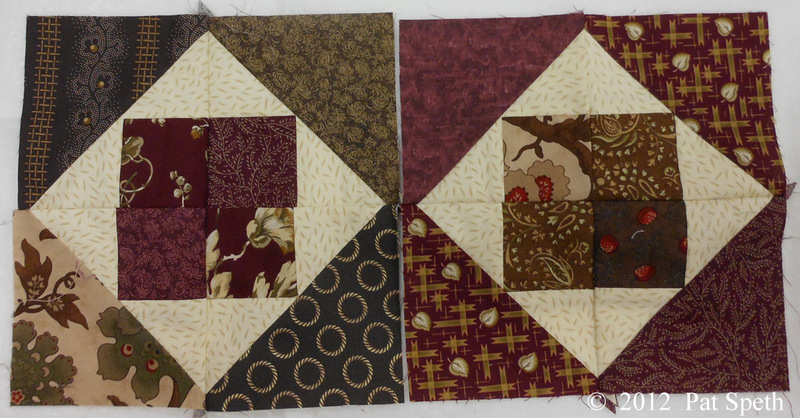 For Deli Geese Project Blocks #15 and #16 you need to know how to make the Disappearing Four Patch block, so I am giving detailed instructions in this blog. 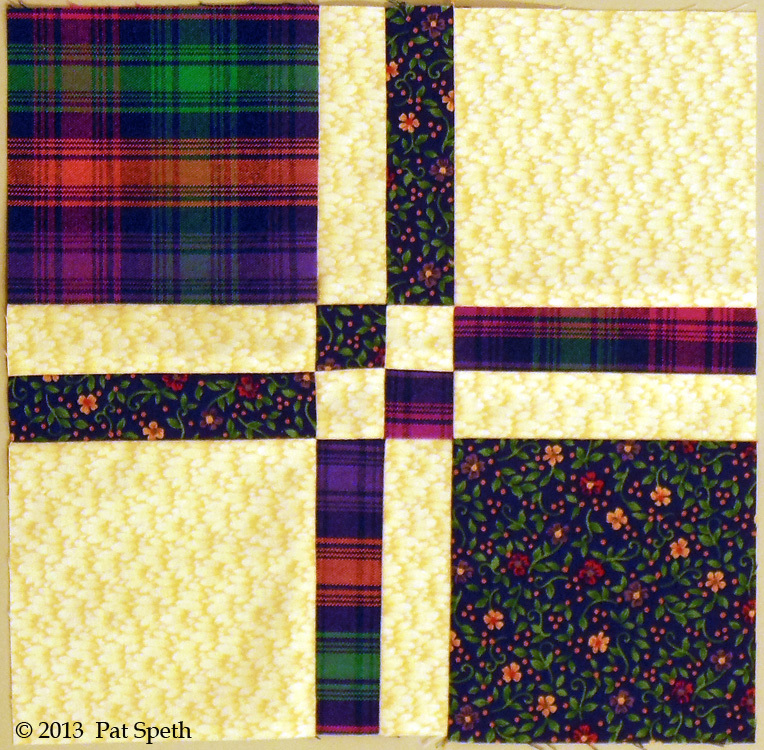 This is what the Disappearing Four Patch block looks like, and since it finishes 8″ it’s a perfect candidate to use in the Deli Geese Project! 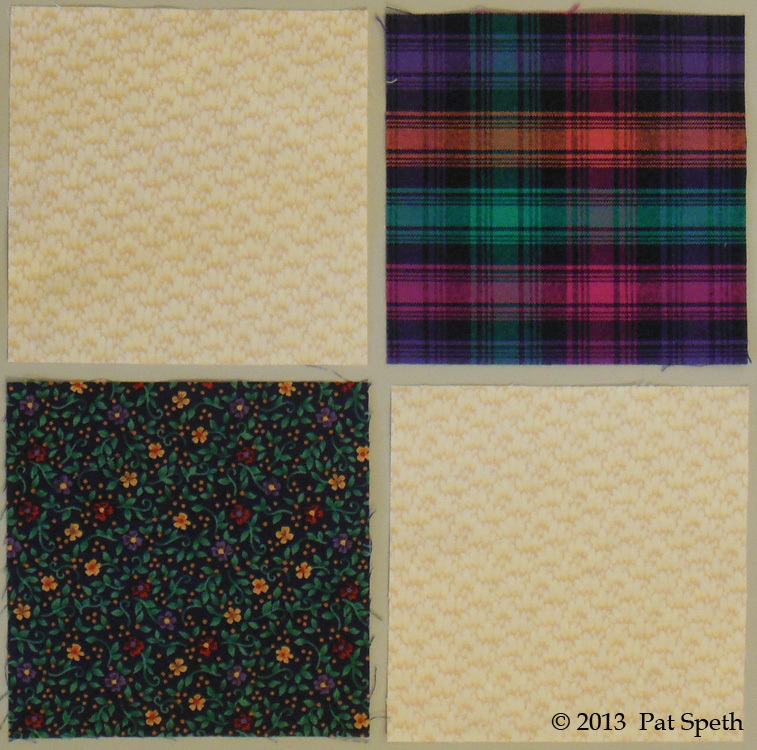 Select two dark 5″ squares and two light 5″ squares. 1. 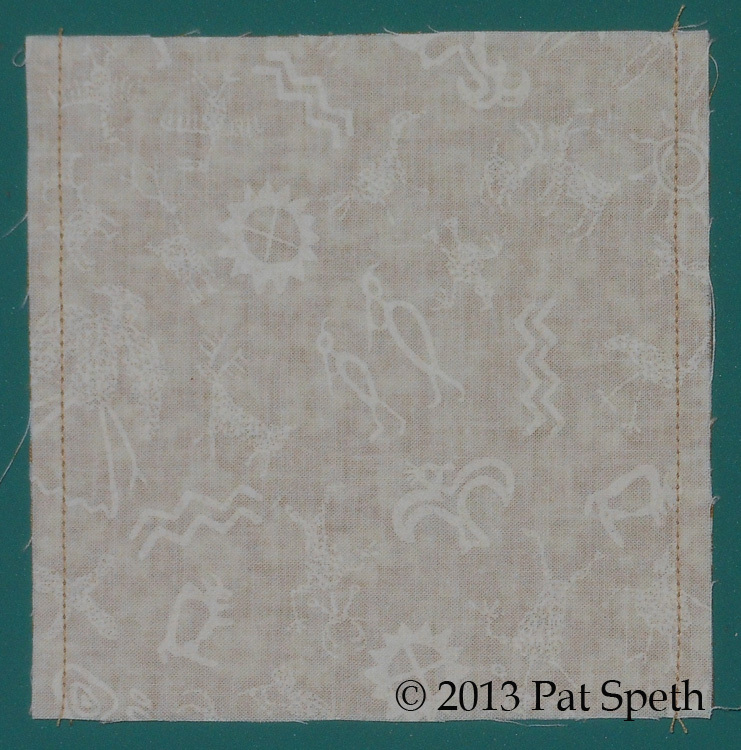 Sew them together into a large Four Patch. 2. 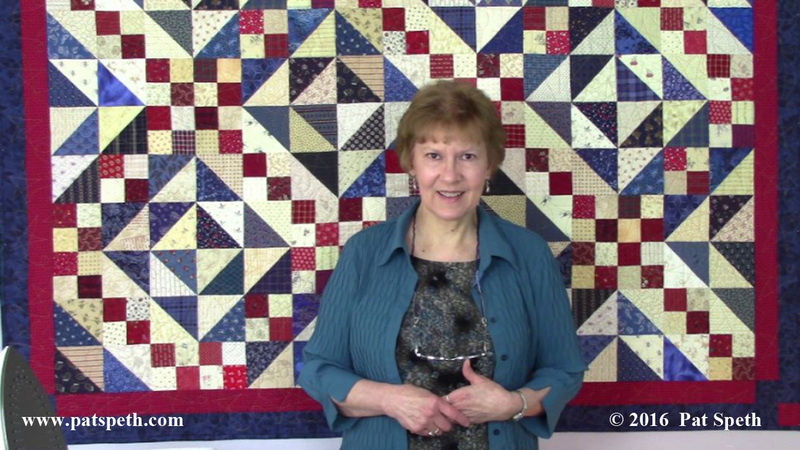 Measure over 1″ from the center and cut. 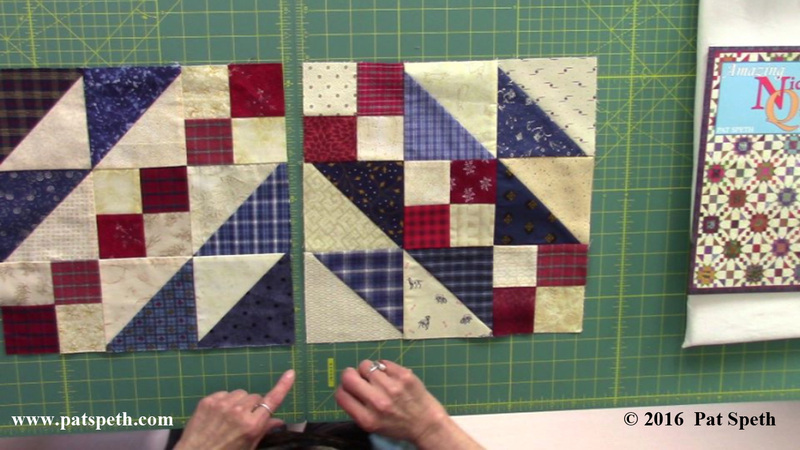 Do this on both sides of the center seam. 3. 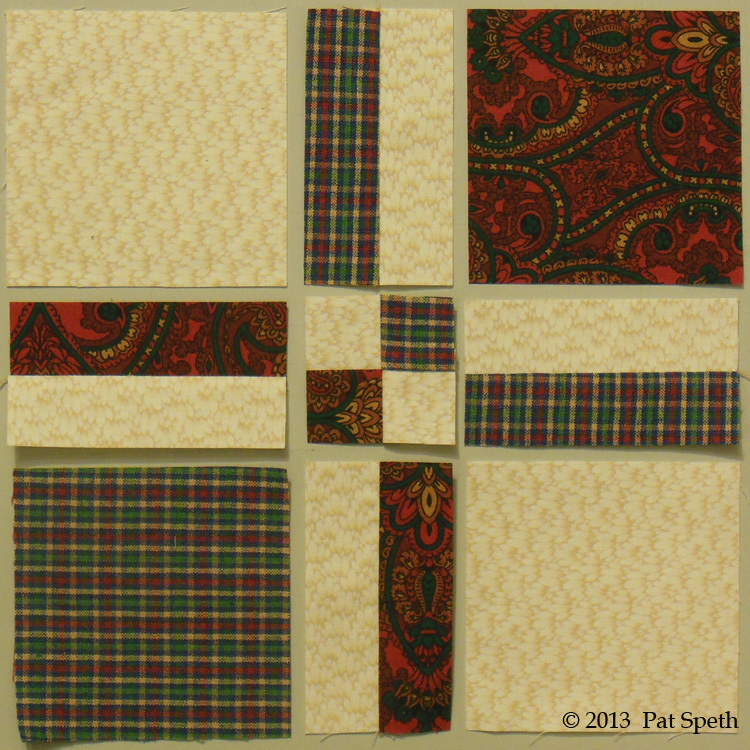 Arrange the units and sew them together. 4. 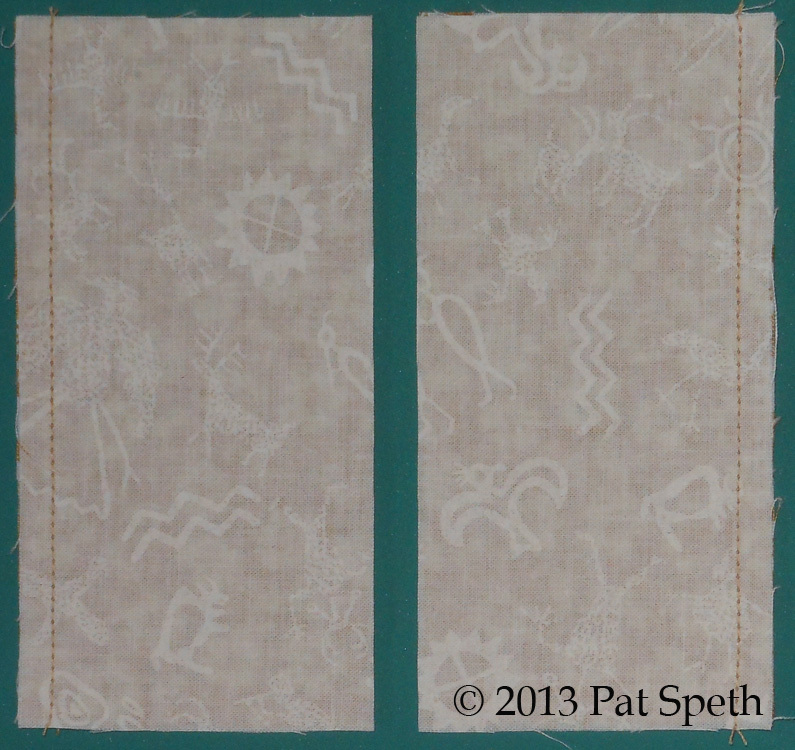 In the opposite direction, measure over 1″ from the center and cut. Do this on both sides of the center seam. 5. 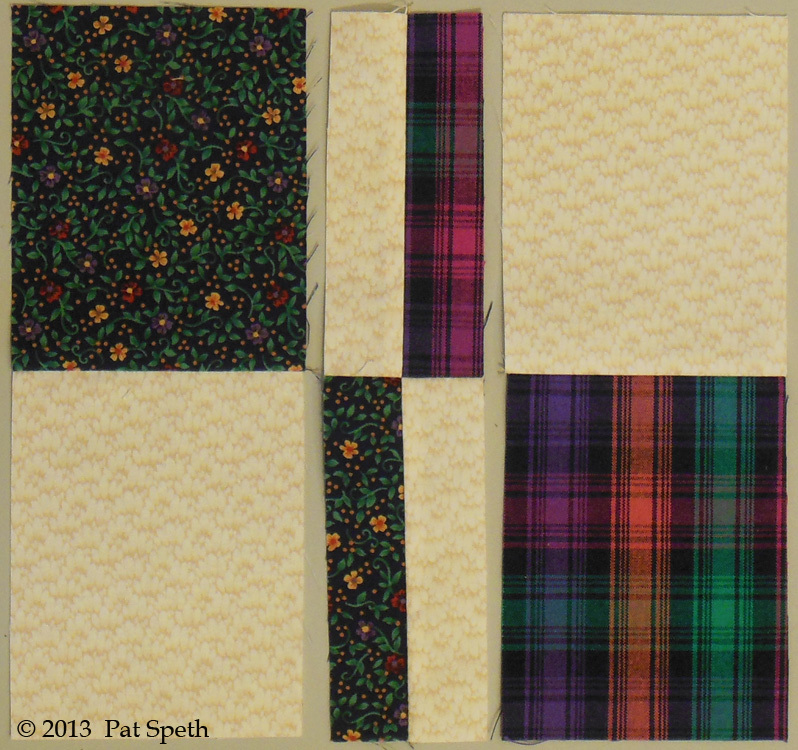 Arrange the units and sew together. 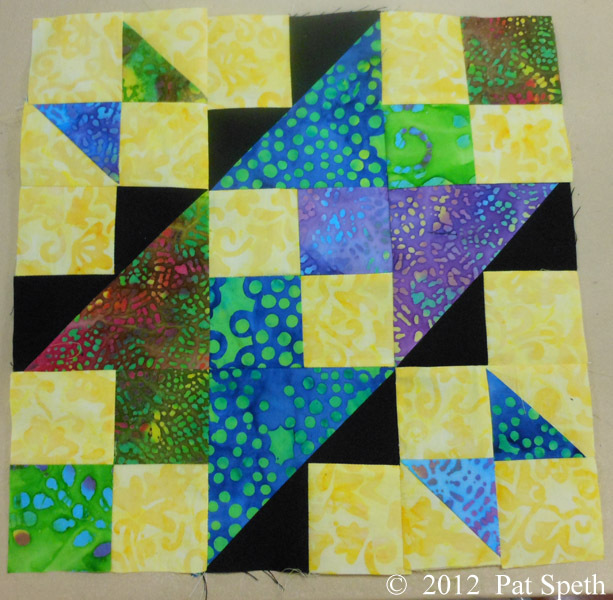 This block should measure 8 1/2″ at this point and will finish at 8″. 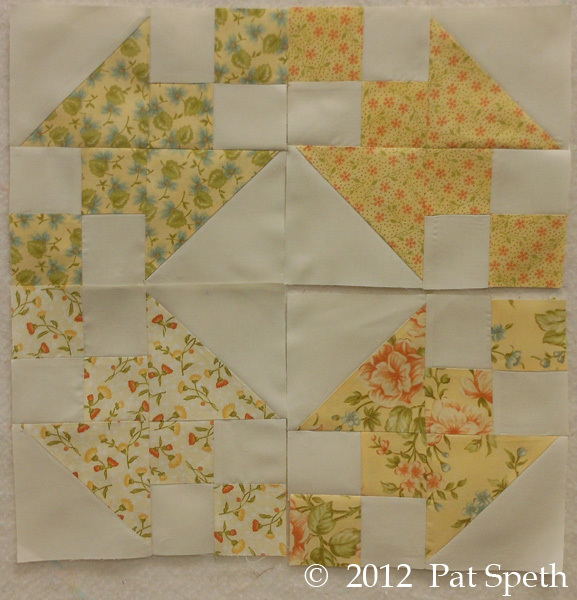 A second way to cut and sew for this block is to do all the cutting first, arrange the pieces, and sew the pieces together like a nine patch. 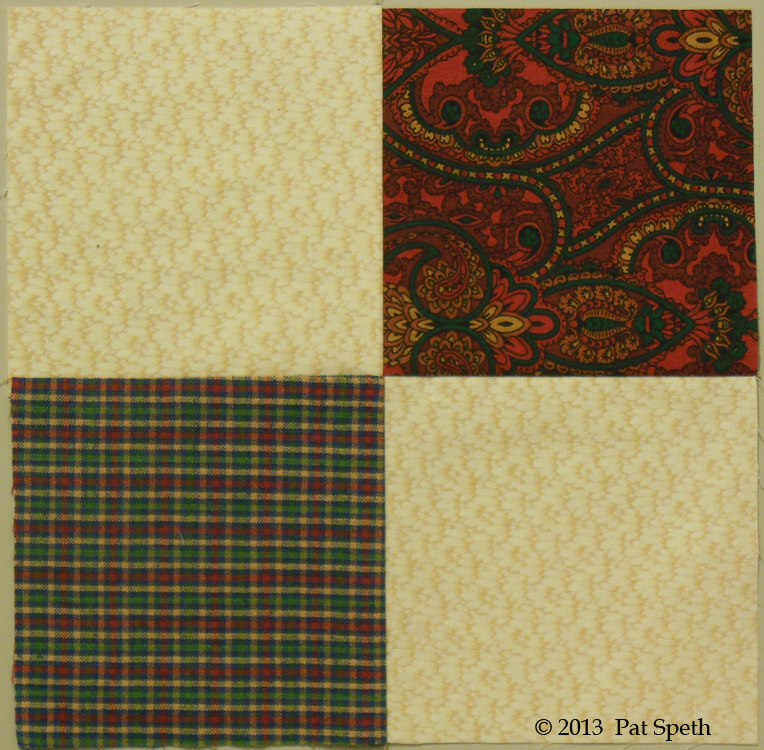 To do this start with a four patch made from 5″ squares. 1. 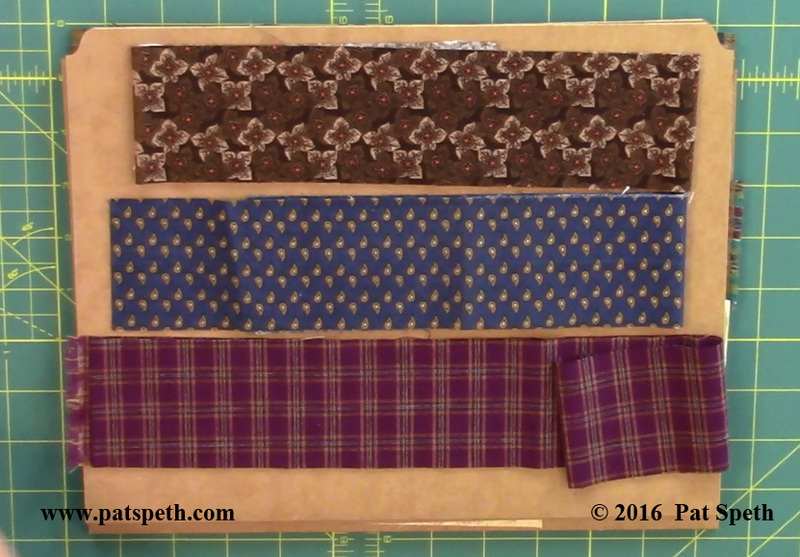 Measure over 1″ from the center seam and cut on both sides of the center seam in each direction, being careful not to let the pieces shift out of position. 2. 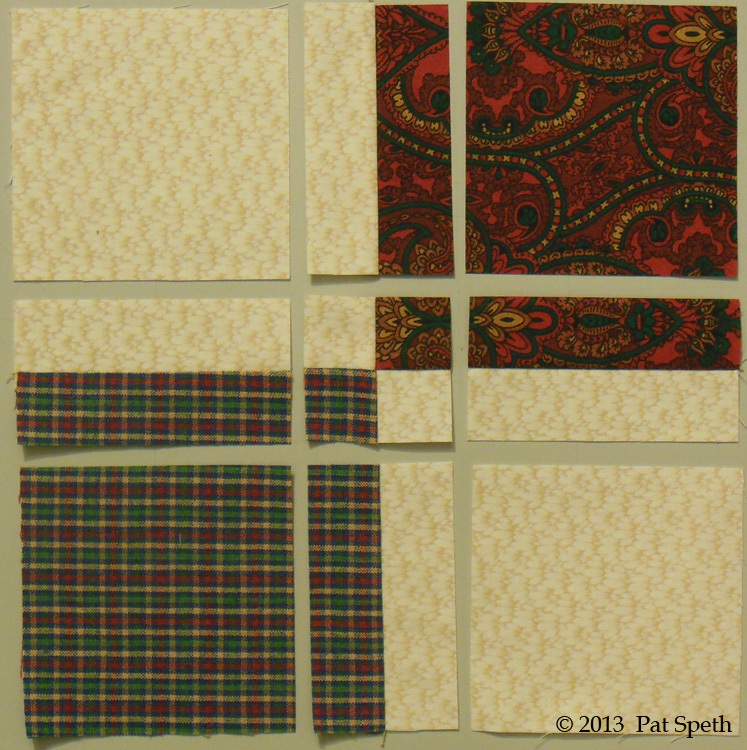 Arrange the pieces and sew together. 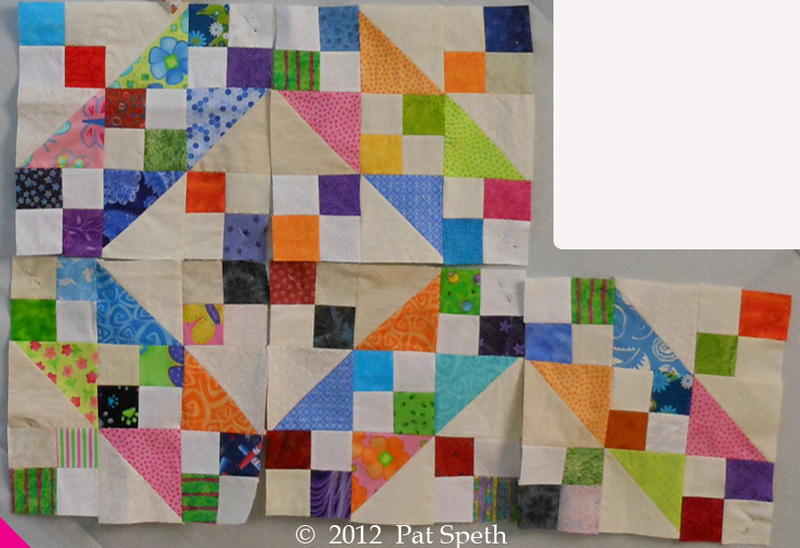 No matter which way you choose to construct this block you’ll have lots of fun making them. 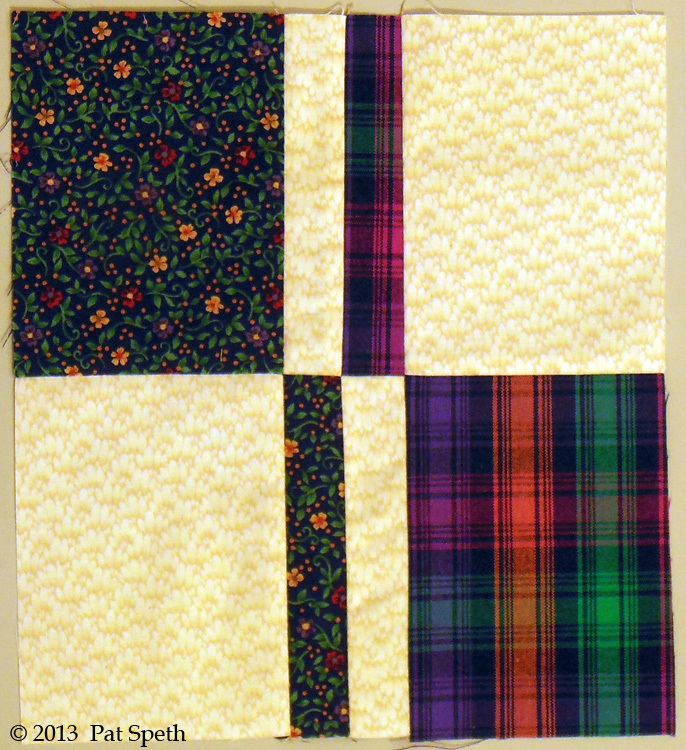 Of course you don’t have to use them in a Deli Geese block, they are great to use in a quilt all by themselves. 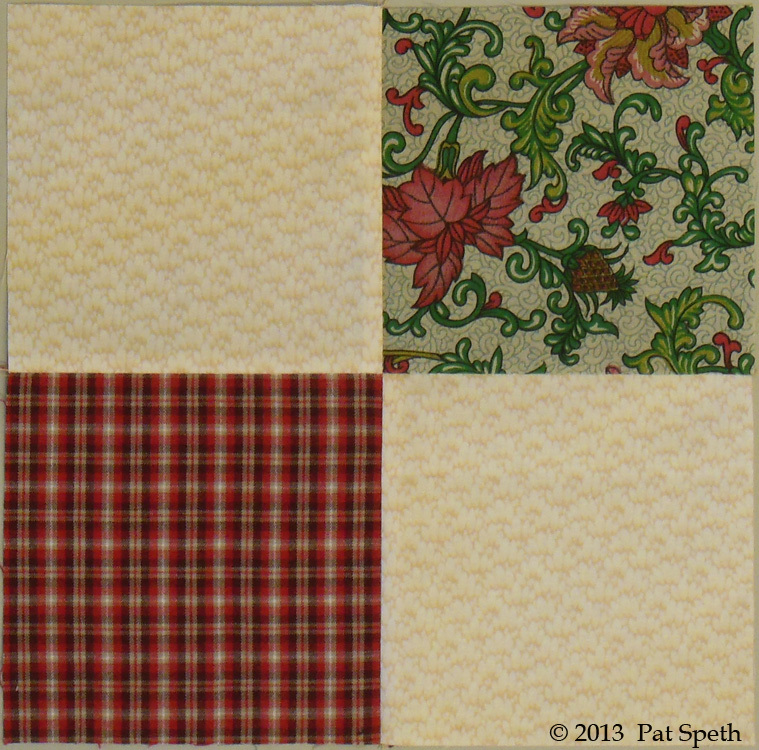 As the year draws to an end and we start making New Year’s resolutions and looking at our fabric stashes, this block as well as many others that are made from 5″ squares are great stash busting quilts! 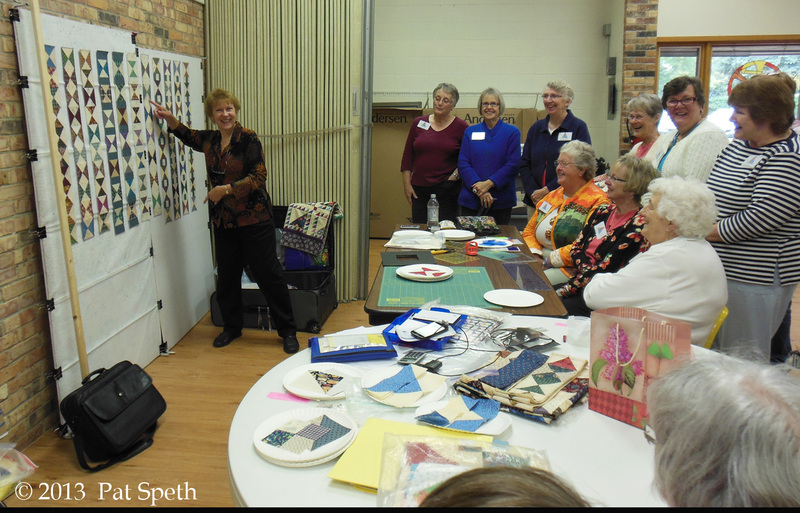 I taught two different workshops for the Southwest Florida Quilters Guild. 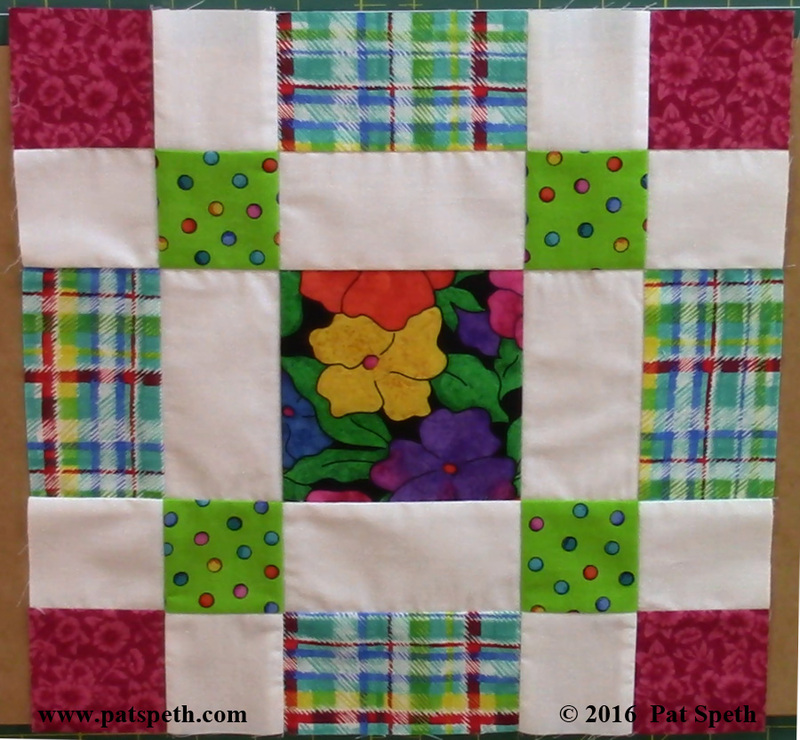 The first workshop was Shaded Four Patch class with four different quilts that could be made. 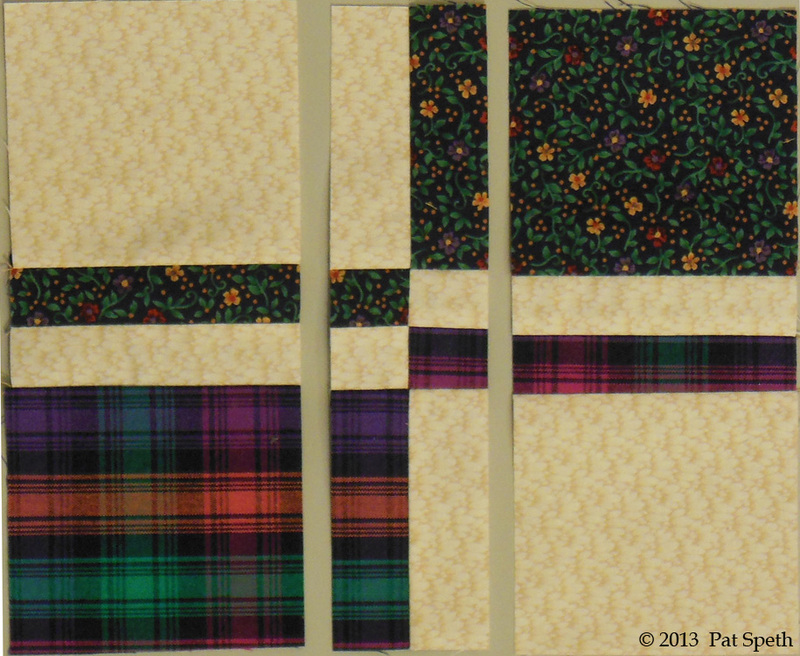 These are student blocks for the Rocky Road to Dublin quilt from the More Nickel Quilt book. 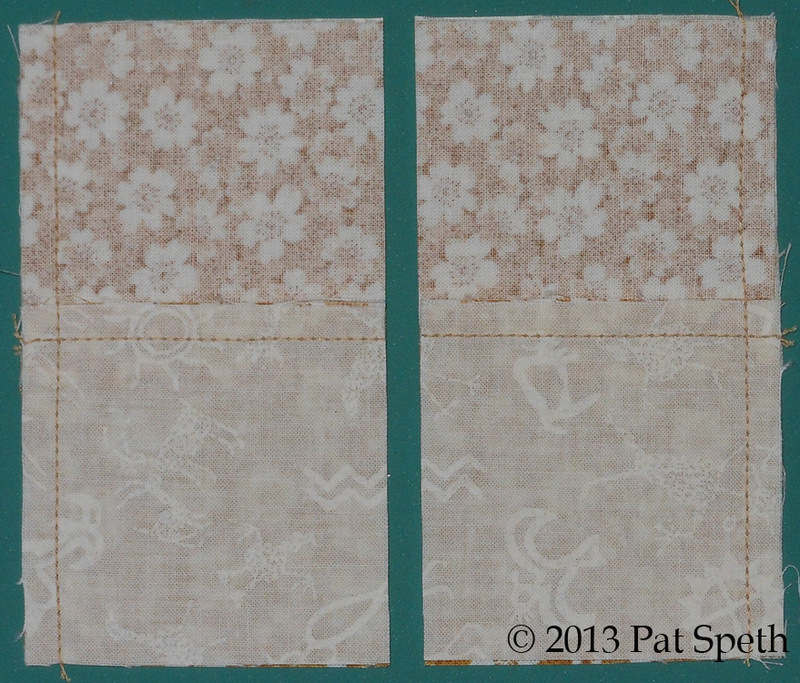 A couple of blocks for the Shaded Four Patch quilt found in the first Nickel Quilt book. 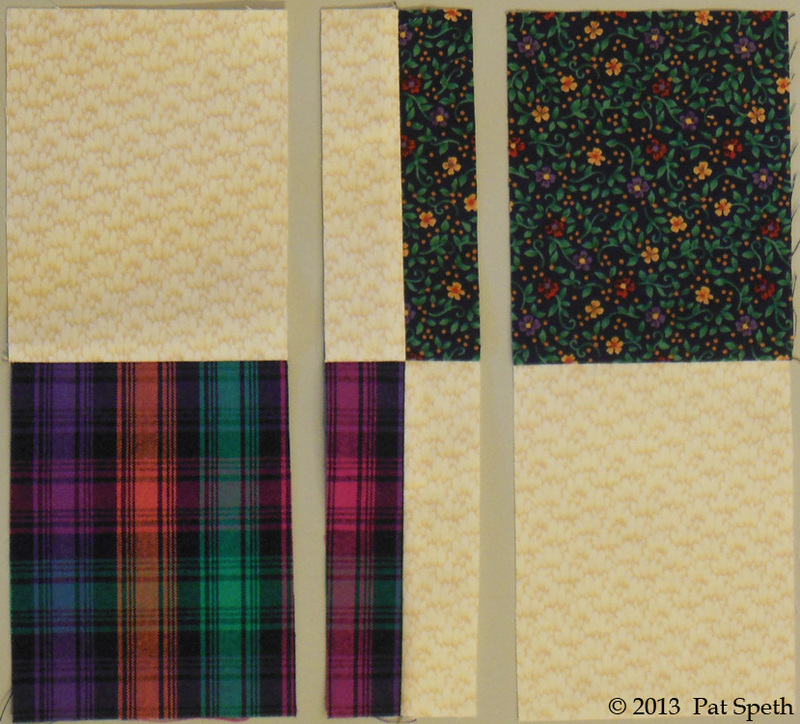 And some blocks for the Steamboat Springs quilt from the Nickel Quilts & Borders book. 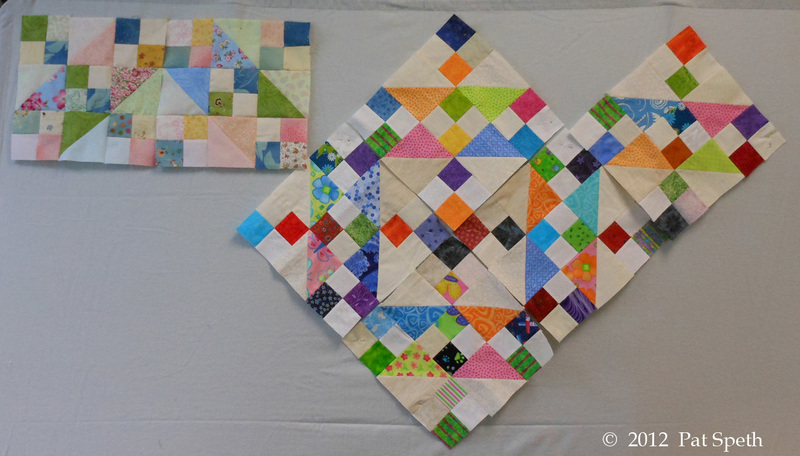 So many units are taught in this workshop: the shaded four patch unit, large and small half square triangle units, four patch units, and flying geese. 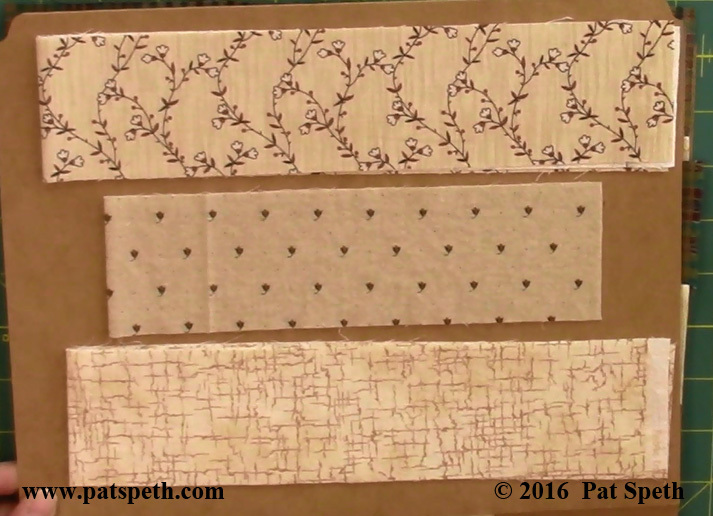 The shaded four patch unit by itself also offers many design possibilities. 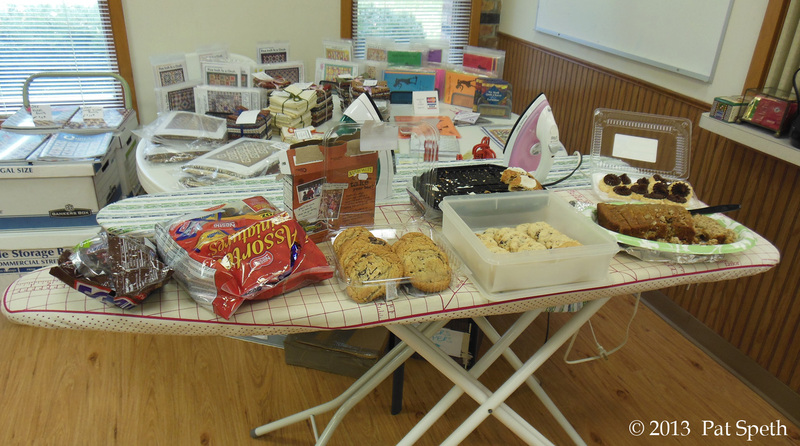 The Kingwood Area Quilt Guild in Texas chose the Half Square Triangle and Four Patch workshop. 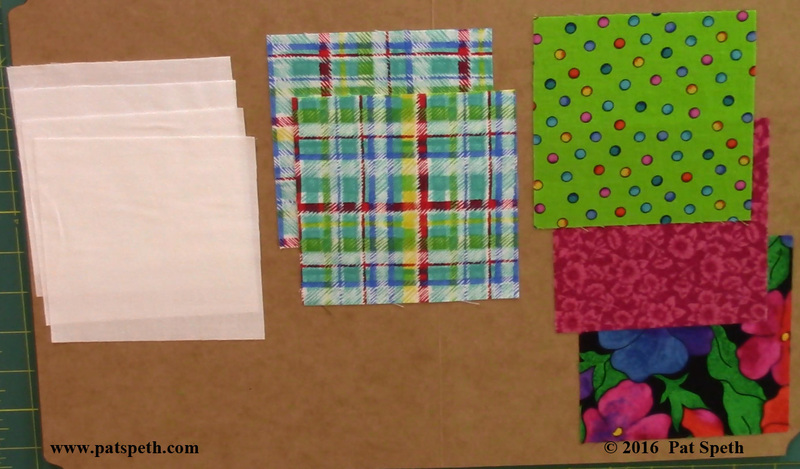 From these two basic units we have so many options for quilt blocks and in this workshop we are able to make fifteen different quilts. 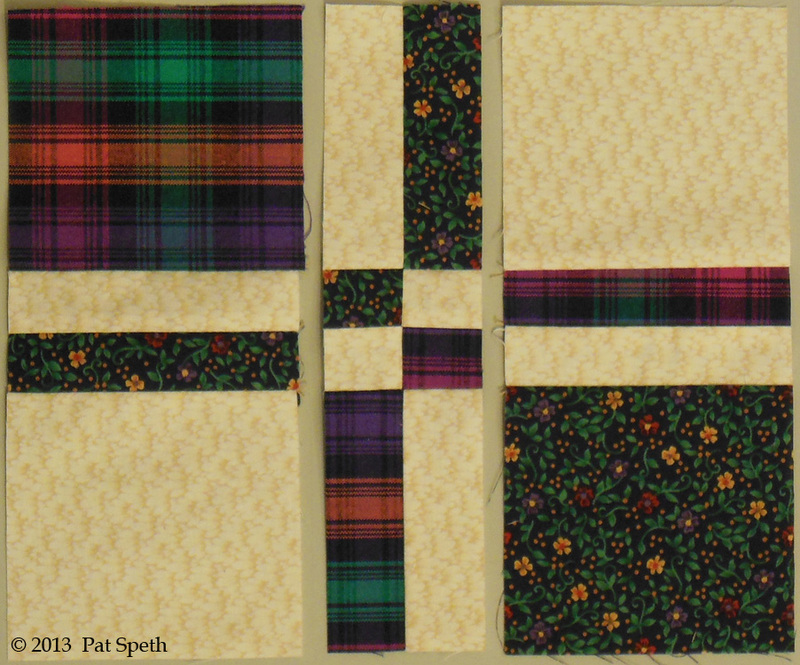 These are blocks for the Northern Lights quilt found in the first Nickel Quilt book. 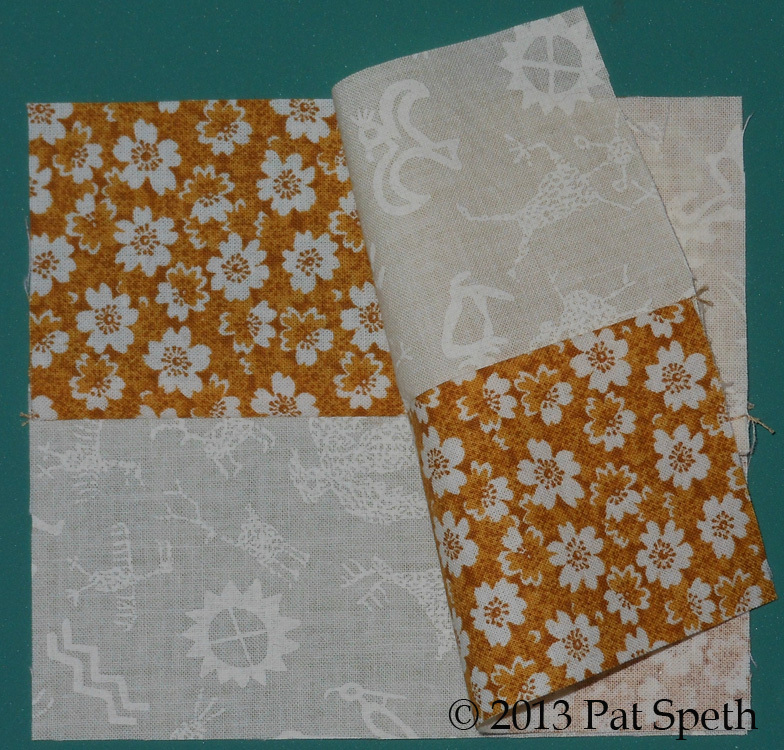 Blocks for the Texas Two Step quilt found in the Amazing Nickel Quilts book. 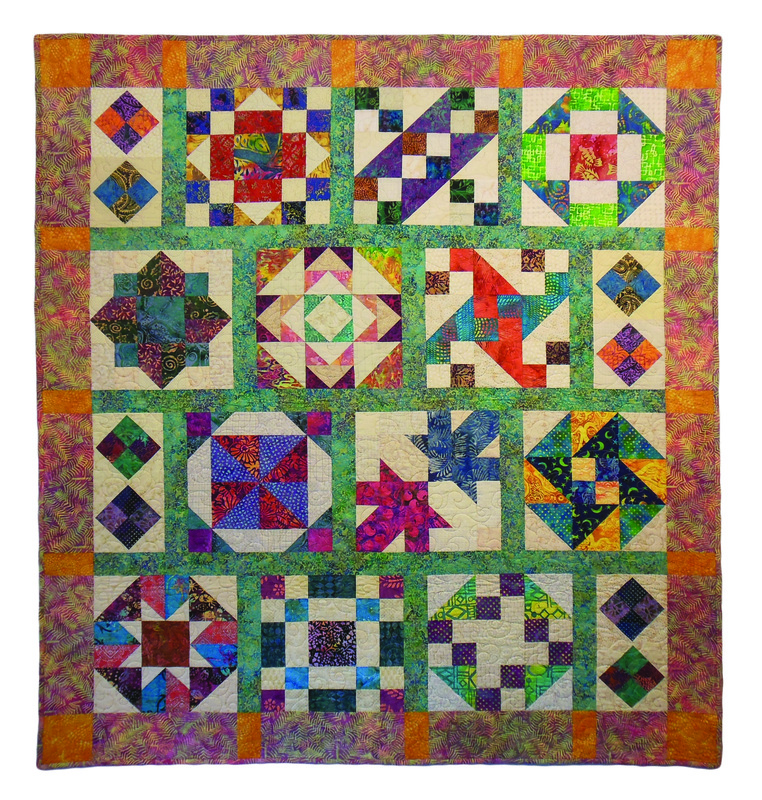 On this design wall are two different sets of Jacob’s Ladder blocks from the More Nickel Quilt book. 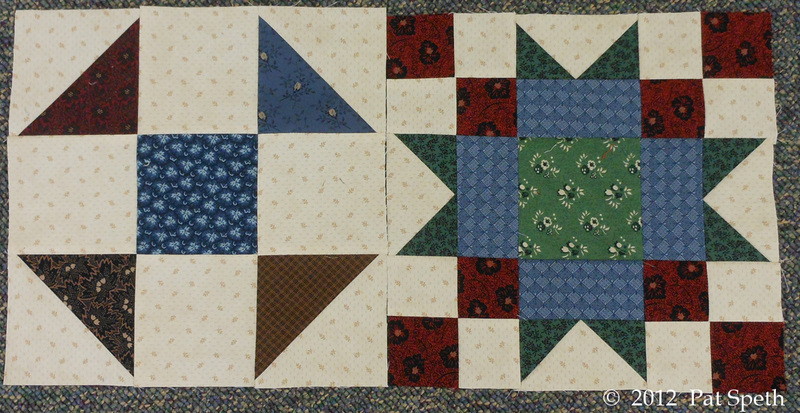 The two blocks on the left are set in the same straight set I used for my quilt. The group of blocks on the right is layed out in a diagonal set. 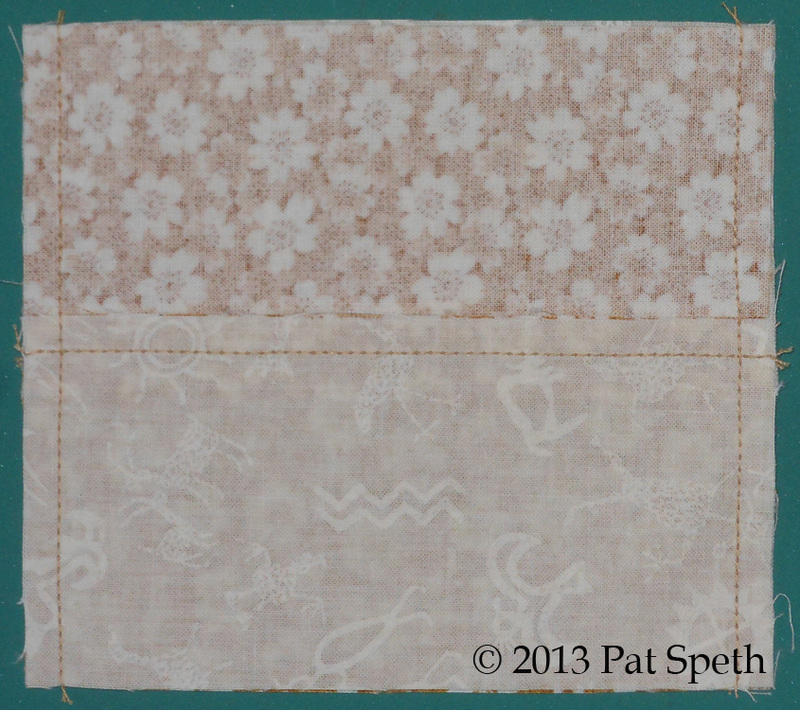 When I have my Jacob’s Ladder quilt with me I always show how different it appears by just giving the quilt a 45° turn. And through the magic of Photoshop I’m able to show you how the same grouping of blocks would look like in a straight set. 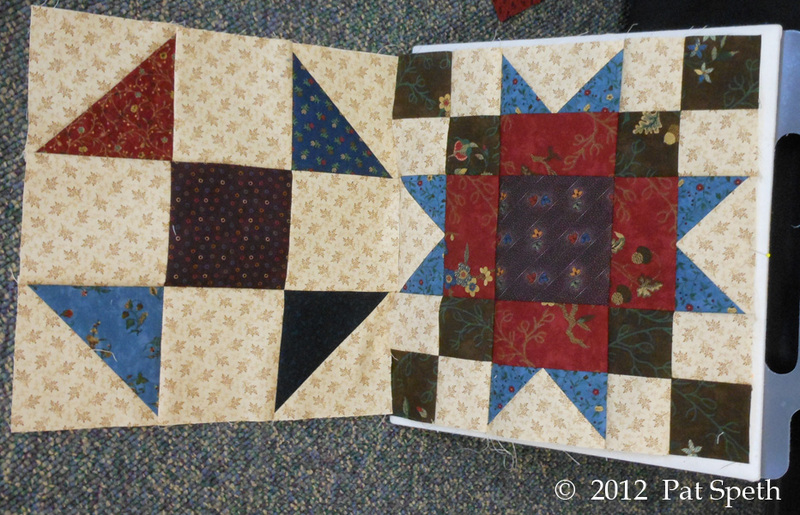 For comparison here is my Jacob’s Ladder quilt in its straight set, giving every other block a quarter turn. 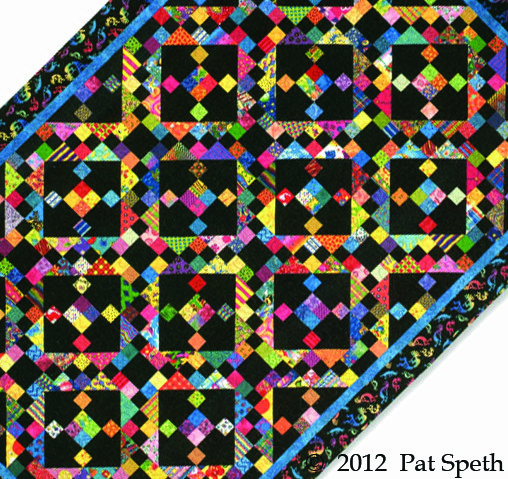 This is what it a section of the quilt looks like in a diagonal set. 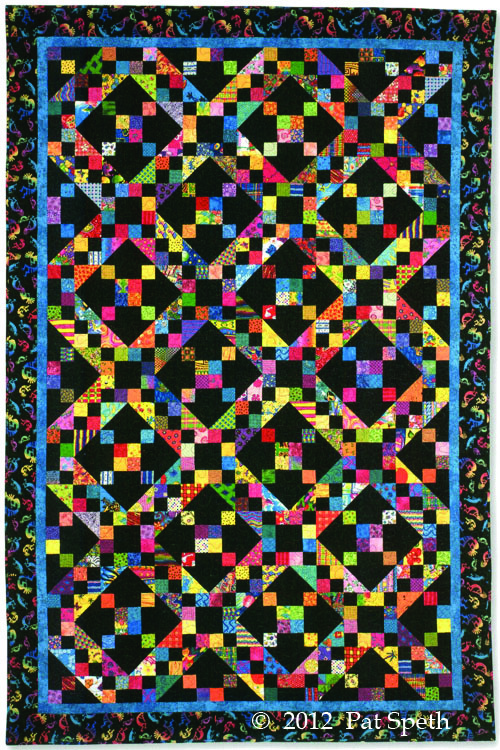 The block itself seems to disappear and the quilt looks like it is made from nine patch blocks set on point with added black triangles and rows of sashing, with black squares and bright fabrics. 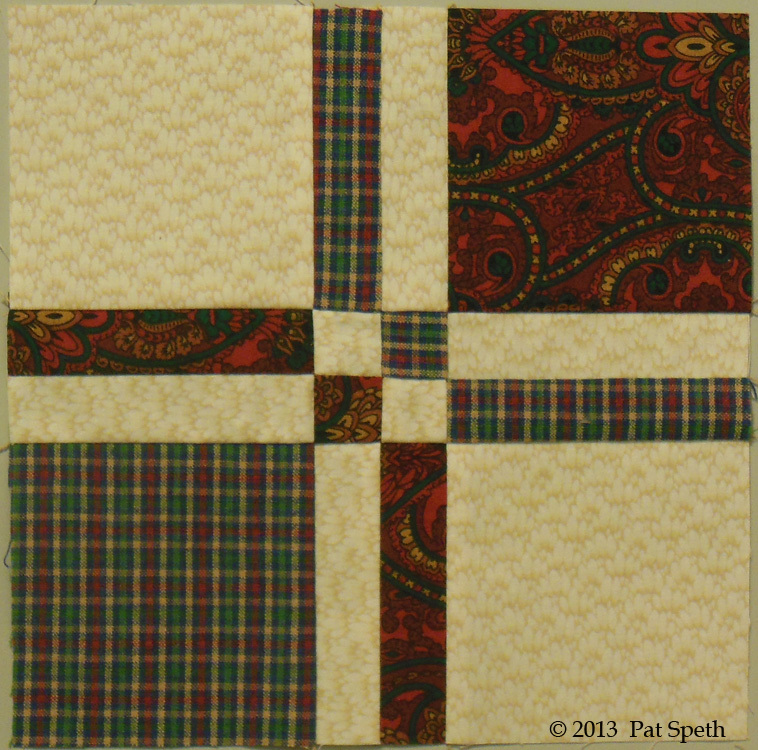 So Many ways to use those 5″ squares!